A partnership has been initiated between Partners In Health/Zanmi Lasante at Hôpital Universitaire de Mirebalais (HUM) and the Boston Children's Hospital (BCH) Department of Anesthesiology, Perioperative and Pain Medicine. In an effort to improve the perioperative care delivery in the central plateau of Haiti, BCH, Department of Anesthesia is providing a Certified Registered Nurse Anesthetist (CRNA), John Welch, to work as an acompanateur at HUM, through PIH, for six months a year. John will be working closely with the existing CRNAs at HUM to support them through continuing education initiatives and advisement as they expand their perioperative practice. The Boston Children's Hospital (BCH) Department of Anesthesiology, Perioperative and Pain Medicine is offering fellowship training opportunities for pediatric anesthesiologists interested in pursuing an academic career emphasizing global health. Interested candidates must have completed an ACGME accredited pediatric anesthesiology fellowship. For more information, contact Craig McClain. Our current fellow, Denise Chan, is part of the Human Resources for Health Program in Rwanda and has been involved in a number of activities including developing a local interest and focus on safe delivery of anesthesia to children and infants, assessing major perioperative morbidity and mortality, and creating a medical student curriculum for students rotating in anesthesiology. During President Clinton's and Chelsea Clinton's recent visit to Rwanda, Denise was able to demonstrate how the new simulation center at University Central Hospital of Kigali is useful in teaching trainees airway management skills and basic principles of crisis management. 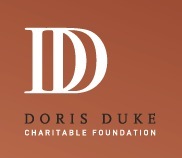 Harvard Medical School is accepting applications to the 2014 Doris Duke Charitable Foundation International Clinical Research Fellowship competition. The fellowship is for medical students conducting research in resource-limited settings. For more information, please visit the Department's website. 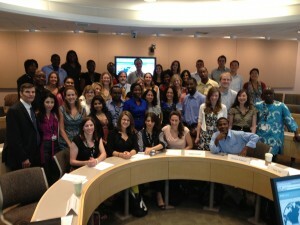 Global Health Delivery Summer Intensive (GHDI) program attracts a diverse, international cadre of mid-career global health professionals who seek training in global health delivery concepts and skills. Applications are now being accepted, through February 1, 2014, for the sixth annual session (July 1-25, 2014). Please feel free to forward this announcement and/or the website link to anyone who may be interested in finding out more about the program. Information and the application are online. Please e-mail ghe@globalhealthdelivery.org - attention Keri Wachter - for more information. 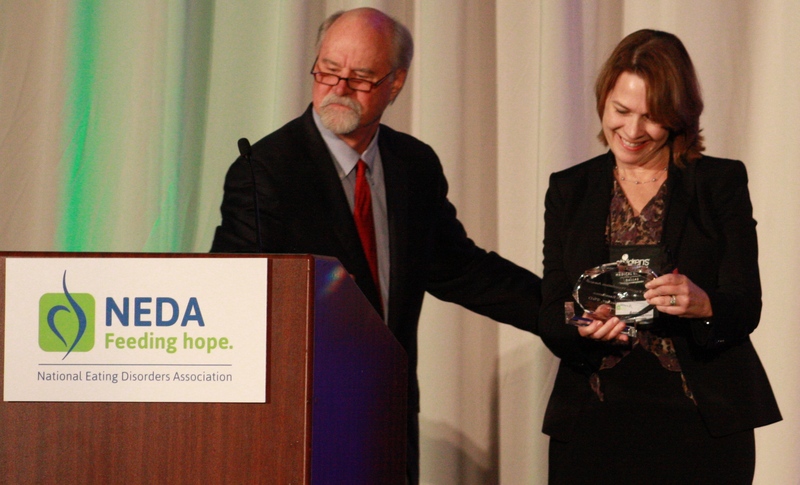 Anne Becker, Maude and Lillian Presley Professor of Global Health and Social Medicine, received the Price Family Award for Research Excellence from the National Eating Disorders Association at their annual meeting in October. This award recognizes the impact of her research on social context on eating pathology in Fiji. Congratulations Anne! Matt Bonds, PhD, research associate in Global Health and Social Medicine, received a Grand Challenges Explorations grant from the Gates Foundation. The title of the grant is: "The Economic Burden of Disease: A Combined Metric of Human and Animal Health in Rural Madagascar." Dr. Bonds, PI, is joined by three co-PIs: Cara Brook (Princeton), Tom Gillespie (Emory/CDC), and Pat Wright (Stony Brook). Dr. Bonds and his colleagues will use this grant to quantify the economic burden of disease using a combined metric to incorporate disease impact on both human and animal health. Current measures of economic burden consider humans and animals independently, yet they are both influenced by disease and by the health of each other. They will develop an integrated model combining epidemiology and economic growth to uncover links between disease impact and income in both human and livestock systems. Their model will be tested in the field using target human and wildlife populations in Madagascar to quantify the overall economic burden of disease. Congratulations Matt! Eric Krakauer, MD, PhD, assistant professor of Global Health and Social Medicine at the Department of Global Health and Social Medicine, Harvard Medical School, and assistant professor in medicine at Massachusetts General Hospital, was recently awarded three grants to help make pain relief and palliative care accessible by the global poor and to integrate palliative care with treatment of life-threatening illnesses such as cancer and AIDS in resource-limited settings. The Atlantic Philanthropies has awarded Dr. Krakauer a second two-year grant to help Vietnam implement palliative home care for advanced cancer patients as well as specialist training in palliative medicine. A grant awarded by the Kids With Cancer Foundation of Vietnam will help fund training in palliative care for pediatric cancer patients in southern Vietnam. In addition, Dr. Krakauer received a grant on behalf of Partners In Health (PIH) by the Røros Foundation to implement palliative care networks, including both hospital-based and home care, in one urban and one rural district in Rwanda in collaboration with the Rwanda Ministry of Health. This project entails curriculum development and training at multiple levels: for future palliative care trainers and leaders, for hospital-based interdisciplinary palliative care teams, for nurses working in community health centers, and for community health workers who provide home care. In addition, changes in patient outcomes will be studied after implementation of the palliative care networks. Dr. Krakauer also is one of three global palliative care experts invited by Bangladesh’s Bangabandu Sheikh Mujib Medical University, the only institution in Bangladesh that trains medical specialists, to assist with creation of a curriculum for specialist training in palliative medicine. Congratulations Eric! Ed Nardell, MD, associate professor in Medicine and Global Health and Social Medicine, HMS, and in the Departments of Environmental Health and Immunology and Infectious Diseases, HSPH, has received a R34 NIH award. The grant will allow Dr. Nardell to plan a clinical trial of bacille Calmette-Guerin (BCG) vaccination to prevent infection in students, residents, workers, and researchers travelling abroad to high burden MDR/XDR areas, using Interferon Gamma Release Assays (IGRA) conversion as a prime endpoint. The rationale is that there is no accepted preventive treatment for MDR/XDR infection, and no reliable TB infection control in place in many high burden settings. Congratulations Ed! Martha Montello, PhD, lecturer on global health and social medicine is the new editor of Perspectives in Biology and Medicine. Congratulations Martha! Bonds, Matt. In the 10th anniversary special issue of PLoS Biology, "Disease Ecology, Biodiversity, and the Latitudinal Gradient in Income" was selected as one of the journal's top 10 articles of the decade: http://www.ploscollections.org/article/browse/issue/info%3Adoi%2F10.1371%2Fissue.pcol.v06.i03. Prokopetz JJ, Katz JN, Losina E, Thornhill TS, Wright J, Lehmann LS. "Preceding the procedure: medical devices and shared decision-making." Arthritis Care Res (Hoboken). 2013 Jan;65(1):148-51. Martinez W, Lehmann LS. "The 'Hidden Curriculum' and residents' attitudes regarding medical error disclosure: Comparison of surgical and nonsurgical residents." J Am Coll Surg 2013; 217:1-6. Fitzpatrick SJ, Jordens CF, Kerridge IH, Keown D, Walter JJ, Nelson P, Abdalla M, Lehmann LS, Sarma S. "Religious perspectives on the use of psychopharmaceuticals as an enhancement technology." J Relig Health. August 2013 DOI 10.1007/s10943-013-9761-7. Doukas DJ, McCullough LB, Wear S, Lehmann LS, Nixon LL, Carrese JA, Shapiro JF, Green MJ, Kirch DG. "Perspective: the challenge of promoting professionalism through medical ethics and humanities education." Academic Medicine.2013;88 doi: 10.1097/ACM.0b013e3182a7f8e3. Vassy JL, Green RC, Lehmann LS. "Genomic Medicine in Primary Care: Barriers and Assets." Postgraduate Medical Journal. 2013; 89 (1057):615-616. Caliendo AM, Gilbert DN, Ginocchio CC, Hanson KE, May L, Quinn TC, Tenover FC, Alland D, Blaschke AJ, Bonomo RA, Carroll KC, Ferraro MJ, Hirschhorn LR, Joseph WP, Karchmer T, MacIntyre AT, Reller LB, Jackson AF. "Better Tests, Better Care : improved Diagnostics for Infectious Diseases." Clin Infect Dis. (2013) 57 (suppl 3): S139-S170. Ojikutu B, Holman J, Kunches L, Landers S, Perlmutter D, Ward M, Fant G, Hirschhorn LR. "Interdisciplinary HIV care in a changing healthcare environment in the United States." AIDS Care Nov 6. Hirschhorn LR, Talbot JR, Alexander IC, May MA, Dhavan N, Shady R, Ellner AL, Weintraub RL. "From scaling up to sustainability in HIV: potential lessons for moving forward. Globalization and Health 2013, 9:57 doi:10.1186/1744-8603-9-57. Hildebrandt S. "Current status of identification of victims of the National Socialist regime whose bodies were used for anatomical purposes." Clinical Anatomy, published online 2013, DOI: 10.1002/ca.22305. Becker AE. "Resocializing Body Weight, Obesity, and Health Agency. In: McCullough M and Hardin J, eds. The Meaning of Measures, the Measures of Meaning: Reconstructing Obesity Research." New York: Berghahn Books. 2013; pp. 27-48. Becker AE, Kleinman A. "Mental health and the global agenda." New England Journal of Medicine. 2013; 369:66-73. Eyal N, Kuritzkes DR., "Challenges in clinical trial design for HIV-1 cure research." Lancet. 2013 Nov 2;382(9903). “Role of Mutuelles in providing and utilizing of nutrition care for under-five children” at the World Congress of International Health Economics Association, Sydney, Australia. “Development health assistance for child health,” XXVII International Population Conference, Busan, Korea, in August.